This pair of portraits conforms to the traditional format used for such works, with the man on the left and the woman on the right. Their bodies are turned inwards in order to establish visual contact with each other while the green background emphasises their clothes. Although sombre in tone, the elegance of these clothes reflects the sitters’ elevated social status. The two panels are of the same size but the male figure almost entirely fills the pictorial space while the female figure is smaller and consequently leaves more of the background visible. They were formerly attributed to Hans Kulmbach, partly due to the presence of the initials and date on the right of the figures. Isolde Lübbeke, however, considered them to be by an anonymous artist. 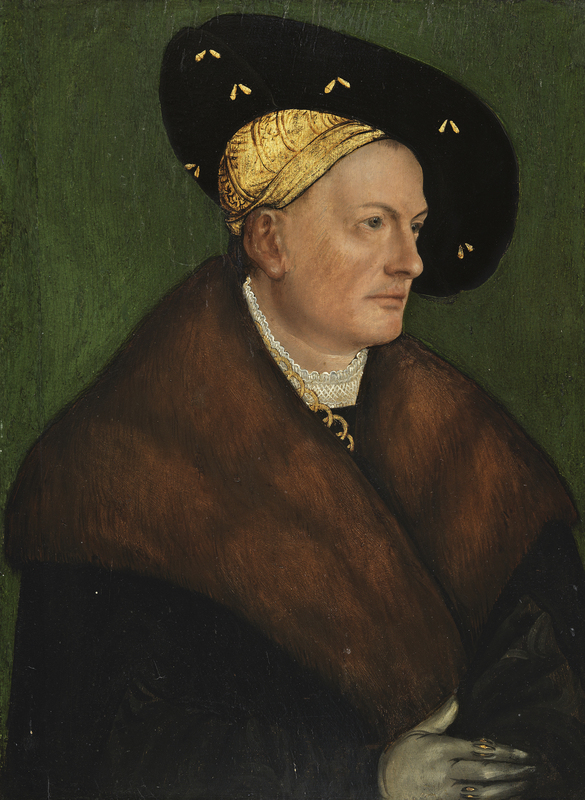 Janos Eisler identified the sitters on the basis of their relationship to three drawings by Hans Holbein the Elder in Berlin that depict Georg Thurzo, a member of a wealthy family that owned mines in northern Hungary, and his wife Portrait of a Woman (Anna Fugger? ).